Note also: coincident with the March 2019 announcements Apple has repriced some of their upgrade options (RAM and SSD primarily) a bit lower with many models. So be sure to recheck pricing on any option you were considering. These days I’m a Macintosh-only user. For a long time, I maintained both Windows and Mac systems, but something had to go to simplify my updating life, and that turned out to be things with Microsoft written on them. 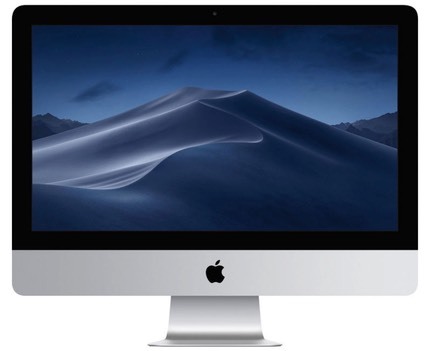 I regularly help others with Mac system recommendations, and I try to keep up with everything happening the in the Mac world. Here are my current thoughts. First and foremost, if you’re considering any upgrade from a base model, stuff it with RAM first. More intelligently—if it’s a model that allows user-upgradeable RAM—buy the computer from Apple (or a store such as B&H [advertiser link]) with minimal RAM and use a reputable company such as OWC to get a lower-cost option for the same upgrade. Apple’s prices for extra memory are way too high. CPU’s and clock speeds aren’t nearly as important as they once were. Any i5 or higher processor tends to be just fine for most photographic work. It you want to upgrade the computing horsepower to your new Mac, pay close attention to the GPU (video) card. Not all software will take advantage of a dedicated GPU with extra RAM, but software that does tends to perform far better in photographic tasks on such machines than on the base models with embedded Intel graphics that use regular RAM. I also advise getting an SSD over a spinning drive, but technically for most photographic work all that’s going to do is speed up your application start times and perhaps your final document saves (assuming you stick your files on the main drive, which I generally don’t recommend). A Fusion drive option (SSD cache+hard drive), if available, is okay, looking older and slower the more we move to solid state. I’d tend to avoid the spinning platter drives these days, though. So: First choice: SSD. Second choice: Fusion drive. Not-a-choice: hard drive. 12” MacBook. This machine is delightfully light and competent. It has two drawbacks you need to know about: (1) it lags on CPU/GPU power to everything else I’ll recommend. This is the one machine where I’d strongly recommend getting the maximum CPU upgrade, and even that’s not going to gain you a lot. But processing speed isn’t why you buy this machine. You buy it to travel extremely light and still have decent post processing capability with you, albeit such processing will be slower than your desktop machine. (2) the single USB-C port scares people. A lot of solutions for that problem have appeared, some of them quite elegant, some quite extensive. Don’t let the one-port thing scare you. You may have to bring an extra widget or cable with you, but if you don’t want to be limited by input/output, you won’t be. For traveling photographers the big drawback to Apple’s single socket approach is typically that the 12” MacBook doesn’t have an SD card slot. So you’ll have to travel with a card reader no matter what you shoot with. You can find an XQD reader/SD reader/USB legacy hub for the MacBook that's under US$20, believe it or not. We would have died for a computer this small and good only a few years ago, even with the slight inconvenience in ports. Recommended model: 1.3GHz Dual-Core CPU (i5) minimum, 8GB RAM minimum, 512GB SSD minimum. That's a US$1600 model. Configured fully with 16GB and a 1.4GHz CPU, it's US$1950. So you're paying for portability. Alternative: only the MacBook Pro 13” models. That nets you a lot more CPU horsepower, another port, plus a better display. B&H Link [advertiser] But note that the latest MacBook Air may make this model less interesting, if you don't mind the bit over an extra half pound of weight. MacBook Air. This 13" machine was completely revised with the October 2018 release. It was near impossible to recommend the older version with its outdated, non-Retina display (still available at US$999) to a photographer for a number of reasons, but all those reasons go away with the new model. In many ways, the new MacBook Air is a bit like a slightly cut-down 13" MacBook Pro (no Touch Bar, for example, though it does have the very useful Touch ID and a Retina display). The big claim to fame for the Air has always been "all day battery life." Apple is still advertising that, but be aware that to Apple that means about 12 hours of regular desktop type use or 13 hours of movie watching. Start running the CPU aggressively with something like Photoshop CC and that number will go down. 13” or 15” MacBook Pro. These have long been many photographers’ go to portable machines. The most recent additions add wrinkles that are causing controversy, but the bottom line is still the same: these are great machines when configured correctly. All of them have a wide display gamut (P3) that’s bright, and all are Retina displays. You can go a bit smaller and lighter with less horsepower (13”) or you can go full out and get the cream of the crop (15”). I'd say that if you're not going to go all out with your laptop, get a higher end 13" model. I generally travel with a 15” that’s pretty much the best Apple sells (see recommendations, below). All of the options in these two lines are very credible models, and clearly faster than previous MacBook Pro Retina models, even last year's (2017 model). I wouldn’t quibble with anyone picking one particular set of CPU, GPU, display, RAM, and SSD options over another, as long as you’re aware of what you’re choosing and why. My older MacBook Pro 15” (2016 model) has been in sandstorms, bounced on seats over non-existent roads, vibrated to death with over 200,000 air miles, and runs virtually constantly (it’s my second display in my office). The newest touch bar models have even fewer parts vulnerable to tough travel, but they are not user upgradeable, so make sure you buy what you need or will grow into up front. 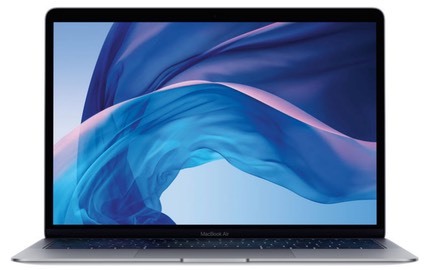 Both 13” and 15” models have a wide number of choices (CPUs, GPUs, RAM, SSD size), so be careful in configuring a MacBook Pro model as you'll be stuck with that combination of tech. The bad news is that the new MacBook Pros with touchbar are pricey, and you’ll need an external card reader and some new cables/dongles. You can solve the entire port issue with any number of single dongles [affiliate link] that have appeared, though I prefer the HyperDrive or HooToo ones at the moment. Do you want the touchbar? No. Not all apps have good use of the touchbar, so it will depend upon the apps you're using. But you're going to get the touchbar anyway if you pick the right model ;~). The good news is that the you can mitigate the high price a bit by picking slightly lower specs, particularly getting a 13", which can be just as fast as the previous generation 15". Just remember that all choices are now permanent and some can be restrictive. Alternative: pick up a previous generation MacBook Pro Retina 15” while they’re still available. But you’re giving up CPU/GPU horsepower and possible RAM (maxed out at 16GB). Mac Mini. Returning with a total top-to-bottom refresh is the Mac Mini. For most folk, this model is now once-again worth looking at. Just be careful of one thing: you can upgrade a Mini to iMac price levels, but you'll be without a keyboard, mouse, and monitor! Still, Apple is now packing a lot of power in a small box that's just shy of three pounds, and that is highly welcome. Apple gave us a lot of configuration options this time around. The CPU choices go from 4-core 3.6Ghz i3 all the way up to a 6-core 3.2Ghz i7. RAM choices are 8GB, 16GB, 32GB, and 64GB. SSD options range from 128GB up to 2TB. You can even up the Ethernet connection from 1GB to 10GB. Those things alone produce a price range from US$799 to US$3999! The good news is that RAM is user upgradeable—though not quite a simple swap job; you'll need patience and the right tools to do this—so you don't have to opt to pay Apple RAM prices, which might bring your overall cost down. The new Mini loses the SD slot, but has Headphone, Ethernet, four Thunderbolt 3 (USB-C 3.1), HDMI, and two USB 3.1 (old Type A style) connections on the back. The little box can drive as many as three external monitors (one via HDMI, two via Thunderbolt). 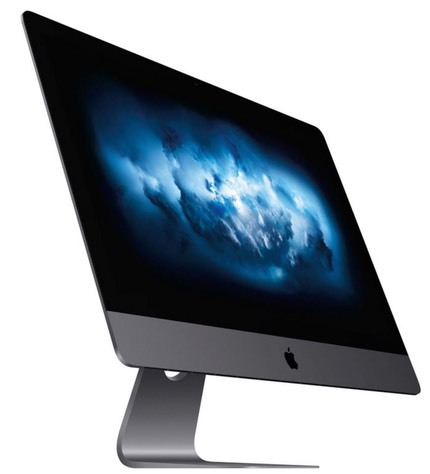 iMac 27” Retina 5K (2019 model). This is really the meat of Apple's desktop computer line. There are a lot of options here. Think of the 5K iMac as a really, really good high resolution monitor that comes with a nearly free, great computer. The monitor has a wide DCI-P Color Space (about the same size as AdobeRGB, but slightly shifted in which colors its extends). The DCI-P iMac Retina Color Space is a video-defined Color Space, but it’s still very good for a still photographer, and it’s what Apple is now standardizing on across the iPad and Macintosh line. It’s a better Color Space than sRGB and what most other monitors give you, for sure. The one drawback I find to the iMac display is this: it’s too reflective. You’re not going to want a window or a light source behind you. I personally prefer matte displays, but the iMac is more towards the glossy spectrum. 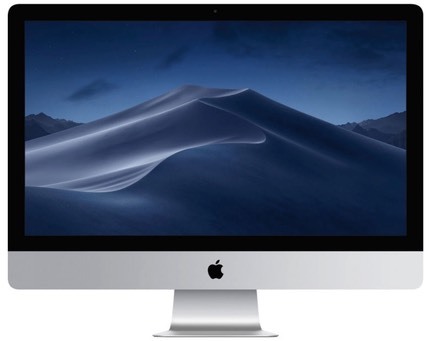 The 2019 update caught the iMac up to the latest and greatest Intel processors and AMD GPUs, and that provides an observable boost from the older 2017 (or 2015) models. Now even the base machine is pretty well endowed in terms of CPU/GPU. But be careful of coupling slow spinning hard drives with these fast processors, even the Fusion drive combinations. Recommended models: start with the 3.0Ghz base model and trick it out, as needed. A good US$2300 option would be this: B&H link [advertiser]. A really solid 3.7GHz, 32GB, 1TB SSD model is US$3400. Max out a 32GB/1TB iMac with the eight-core CPU and top GPU, and you're at US$4250. But don’t buy Apple’s RAM options, if you can avoid them, as you can add perfectly fine and less expensive RAM from OWC, as I noted above. Indeed, you can add 32GB for about US$230, which should be more than enough for most people. Do get an SSD as your main drive; don’t opt for the Fusion choices. Whether you upgrade the CPU and GPU depends upon whether you think the extra price is worth a bit of future proofing your computer or not. Alternatives: use a MacBook Pro 15” with external monitor(s), or opt for the pricey but powerful Mac Pro. Frankly, the Mac Pro is overkill for photography, but will make videographers sleep easier. iMac Pro. This is a top end computer that may hold some appeal to photographers, particularly those that also do video. I use the words "some appeal" because the things the model changes from the 27" Retina 5K model really appeal to videographers more than still photographers, particularly now that Apple has updated the basic iMac in 2019; still photography performance is about the same as the plain iMac Retina 5K. This new Pro model can have up to 18 cores, but most photography software doesn't use multiple cores efficiently. On the other hand, video compression usually does, particularly Final Cut Pro. The iMac Pro model does have better GPU options and the ability to cram up to 256GB of RAM and a 4TB SSD inside, though, so for those trying to future proof their system as much as possible, maybe it makes sense. The price is on the insane side, though. I really see this model as overkill for almost all photographers, but on the other hand it will be a really slick product for pro videographers in need of speed. My preferred model after doing a bit of testing on the 2017 models was: 8-core, AMD Radeon Pro Vega 56, 32GB, 1TB SSD, but that's a whopping US$4650 (Apple lowered the price recently). 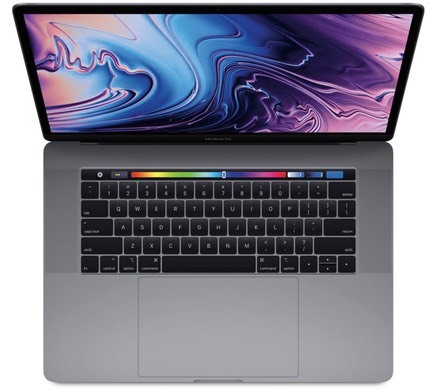 B&H link [advertiser] But like the MacBook Pros, you must get the iMac Pro configured exactly as you wish from the get go, as there is no user upgradeable option. That's exactly where the model starts to get insane in the pricing, as Apple overcharges for processor, RAM, and SSD options. What, no Mac Pro? No. It's mostly a dead-end. Maybe for a video producer, but the iMac Retina 5K is a better choice for a photographer, the iMac Pro a better choice for most videographers. Of course, the thing that scares most people away from Macs is the pricing. An 27" iMac configured about at the bottom of what I’d suggest is going to set you back at least US$2300 when all is said and done (base configuration, extra RAM, SSD). Still, that’s a wide gamut 5K monitor you’re getting with the computer. Try pricing wide gamut 4K displays and the iMac suddenly looks less expensive than picking up an equivalent build-it-yourself Windows machine with a good monitor. And yes, the new touchbar MacBook Pros are very expensive, too. You might get out the door with a 13” adequately configured for less than US$2000, but not the 15”. And don’t forget to purchase Apple Care for whatever you get. That extends probably the best consumer electronics customer service out to three years for your computer. With my heavy abuse of my MacBook Pro, I’ve gotten more than my money’s worth out of Apple Care, no questions asked. The other thing that sometimes holds up potential Apple Mac updaters is the retirement of Firewire (and now Thunderbolt 2 and the old style USB on the portables), coupled with the need for high-speed external drives (even the Mac Pro models no longer have extra internal storage bays). Most of us photographers need plenty of drive space. Don't fear moving from Thunderbolt 2 to 3: it's a cable dongle. And at this point, Firewire drives are becoming harder and harder to find, and certainly don't perform at the levels of Thunderbolt 3. The typical hard drive answer for both Mac desktop and laptop is a USB 3.1 or Thunderbolt RAID. Or two. Or four. The temptation is to cheap out and just buy one external enclosure and mirror the drives in it. I say no. If you’re going for performance, buy two external enclosures and mirror one on the other. You can then also choose between RAID 0 (performance) or RAID 1 (additional mirroring) depending upon your paranoia level. How did I get to four RAIDs? Paranoia and video, in combination. On my iMac Retina I've tended to have two main RAIDs: one running in RAID 1 (mirror) for application and photo data, and the other running RAID 1 for video, though I'm in the midst of changing that as I upgrade. The RAIDs are automatically backed up by Carbon Copy Cloner, but each individual RAID with data is also a mirrored setup to another RAID pair, so it’s a redundant backup. Plus, of course, I have a Time Machine drive and a backup of the SSD, plus off-site backups. Yep, a lot of cables, and a lot of copying going on in the background (mostly in the office overnight time thanks to Carbon Copy Cloner). The good news is that with Thunderbolt 3 and the latest iMacs and MacBook Pros use can be daisy chained to drives, so that cable situation is well under control. The real issue is all the power cables for the RAIDs, all of which have to go to a UPS, which in turn is plugged into a whole office surge protection system. I sure miss all those internal drive bays of the old Mac Pro (seven if you use third party tools to create them).